Javier Pinto is the Production Manager at SERVPRO of Ozaukee County. He has multiple certifications: IICRC WRT, ASD, and Fire. He is also certified in biohazard cleanup and mold. 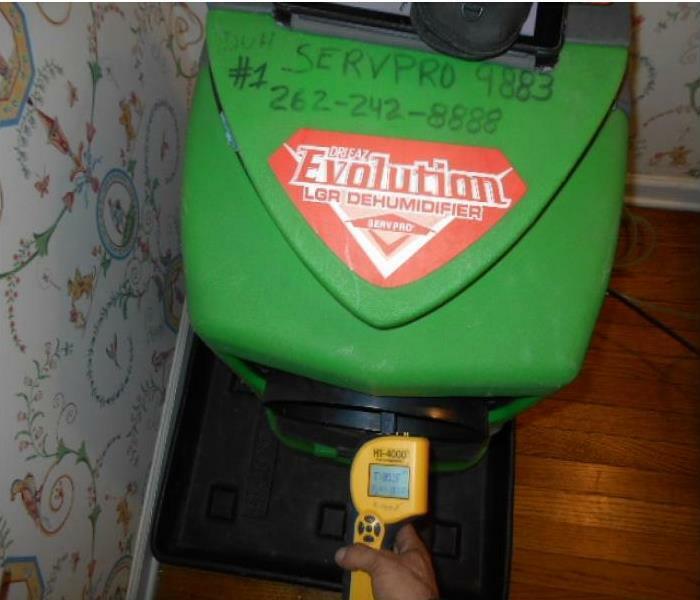 He has been with SERVPRO of Ozaukee County for over six years. He oversees the daily activities for our crews and projects. Javier speaks both English and Spanish which really comes in handy. Brian is a Crew Chief for SERVPRO of Ozaukee County. He has been with SERVPRO of Ozaukee County over seven years. He is IICRC certified in WRT and CCT- Carpet Cleaning Technician. He also has SERVPRO Employee Certification Training Program – Crew Training. Brian is our “Go to” expert for carpet care. Tony is a Crew Chief for SERVPRO of Ozaukee County. He has been with our company for 5 plus years and is proud to meet and exceed our customer’s needs. He is IICRC certified in WRT (Water) and has SERVPRO Employee Certification in Crew. His son, Quaishan, has now joined our Production team. “Q” Lacy is our newest Production Technician for SERVPRO of Ozaukee County. He is eager to learn all aspects of Fire/Water cleanup and is already IICRC Certified in WRT (Water). He watches and learns from his father, Tony Lacy, as well as the rest of the crew. He is a quick learner and we expect great things from him.